Island of the Hungry Ghosts is a moving portrait of forgotten asylum seekers on Christmas Island tackling a difficult, heavily charged political issue. Rather than bombarding audiences with facts and statistics, the film uses cinematic language that stretches from myth making, metaphor to observational storytelling, propelling the interwoven stories forward. Gabrielle Brady will explore the central ideas within her film by talking through her process and contextualising the film’s hybrid elements in terms of ethics, technique, craft, and performance. Her director’s commentary will interact with the audience, exploring construction and co-creation in documentary filmmaking while dissecting how certain narrative tools, when appropriated into the documentary form, allow access to deeper emotional truths. 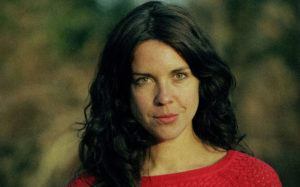 Gabrielle Brady is an Australian filmmaker who currently resides part time in Berlin. For the past ten years Gabrielle has lived between the Australian central desert, Mongolia, Indonesia, Cuba, Mexico and Europe. Island of the Hungry Ghosts has won several awards including ; Best Documentary at Tribeca Film festival 2018, the Buyens-Chagoll Award at Visions du Réel 2018, and the Best Documentary film award at the Valetta Film Festival Malta. The film is being shown in international competitions including; Doc-Aviv Israel, Valetta film festival Malta, Edinburgh Film Festival and Melbourne International Film Festival.